So one day I was lurking the front page of FA (FurAffinity) when I stumbled upon a gem of a submission. Granted, it was just their own take on various other images that you can find everywhere but I digress. It was a “tutorial” of sorts. On how to make your character/fursona original. What a wonder this work was. And here I was thinking that even by creating something that meant something to you, you were being original. Silly me for believing such nonsense. 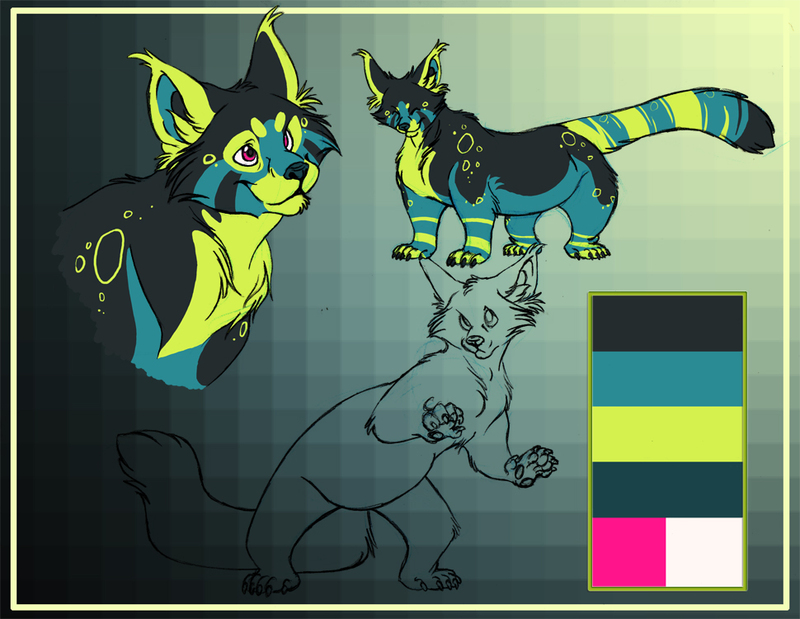 It’s ludicrous to believe that giving your character unnatural colors or markings is original. Or that creating a character of a specific species is unoriginal. Unless you’ve completely thought up the idea yourself, you’re not being original! 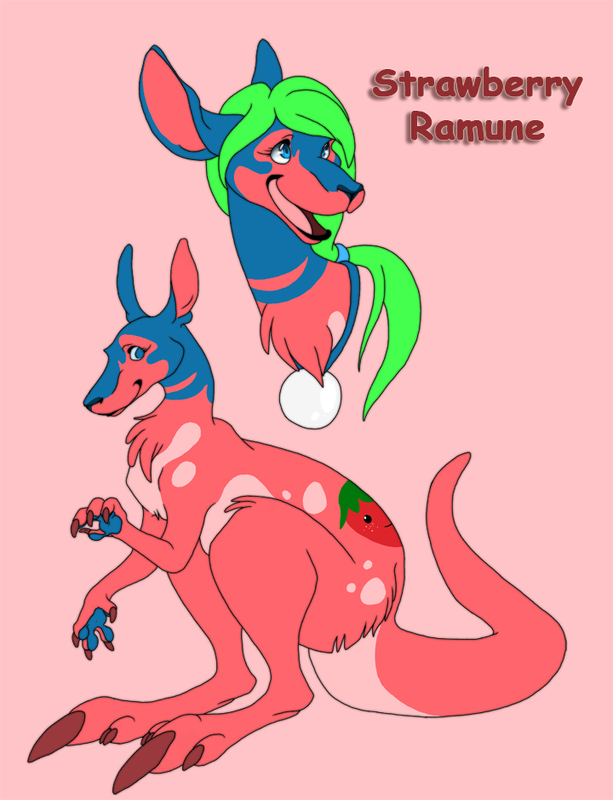 A pink and blue kangaroo with a removable green wig and a strawberry mark on it's back...yep that's a completely unoriginal concept. Seen it a hundred times before. Okay, okay…of course I’m being satirical now. It’s no secret that I like sparkle animals and it shouldn’t be a secret (well…it won’t be anymore) that I believe something that is completely 100% original is hard to come by nowadays. So when I see the concept of other people’s character getting bashed, it just makes me want to slam my head against a desk. Granted there are many people out there who are just trying too hard to create a unique character or people who could possibly use some character design classes (myself included), but that doesn’t mean that they’re completely unoriginal or uncreative. Usually this concept of original vs. unoriginal comes up during periods in the fandom when an artist creates a popular trend or species that has nearly everyone creating one on their own. But of course there’s going to be the naysayers who believe that because you’re partaking in a particular fad that you’re being unoriginal. You have a soda roo? Nope, too many of those exist. Not original. Or a pokesona? Nope…based off fan art. No way you had any originality with that. What about sparkle dogs? God no! Those things are too hideous to be unique or of any importance. You have to love the types who can tell you exactly what is or isn’t original based upon…the fact that they’ve seen something similar before. You also have to wonder if those types find anything original. Usually you can please these types by drawing naturally colored animals. But how many times can you repeat the same colors on naturally colored animals before you say that you’ve seen it before? 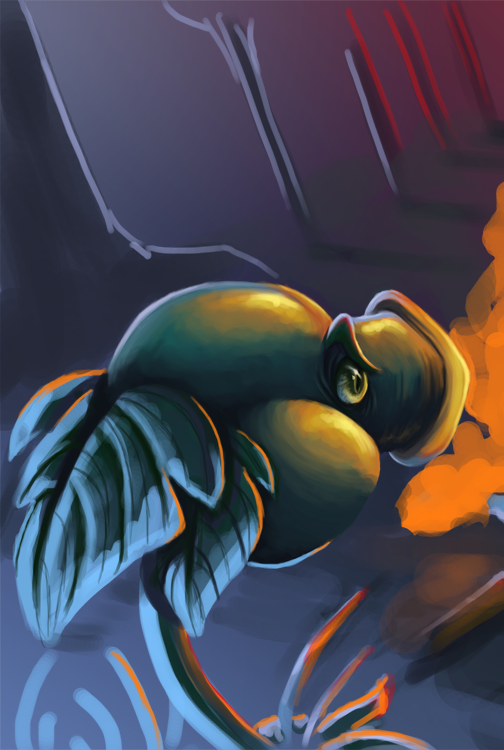 This isn’t to say that using natural colors is unoriginal (it most certainly isn’t). It does limit you quite a bit with what you can and can’t do with your character. If you want a naturally colored dalmatian you’re limited to a white and black or white and liver palette. While the spot combination will change, there’s no doubt you’ll probably be thinking of Pongo and Perdita when you’re looking at the picture. What some of these fads also do that many people fail to realize is that they get people to create. They get people thinking about what colors and attributes they want to give their character. What will their personality be? What specific species will I be referring to? There’s more than one type of kangaroo to base a soda roo off of. So while they might be following a specific fad which might die in time, at least people are creating. They’re exercising their ability to be creative. Even memes allow for creativity (even though we might be dead tired of seeing them all the time). I realize that you’re entitled to your opinion. And just as you may have yours, this one is mine. Originality rarely exists anymore. Everyone copies or is at the least influenced from someone else. And even sitting down to draw a simple little character requires a little bit of creativity or originality (at the least creativity). Not everything that’s created needs to be a brilliant masterpiece worthy of placement in only the finest art establishment. No. Sometimes creating for the sake of creation or for fun is just as good. What do you guys think about creativity? Do you think it’s hard or easy to still be completely creative and original? Or do you think people now have to work harder at it since there’s more ideas out in the world and it’s easier to get your ideas out there?